1. Hard times for the World Champion: Jonathan Rea (Kawasaki Racing Team WorldSBK) has managed just two podiums out of four races in this opening part of the season. 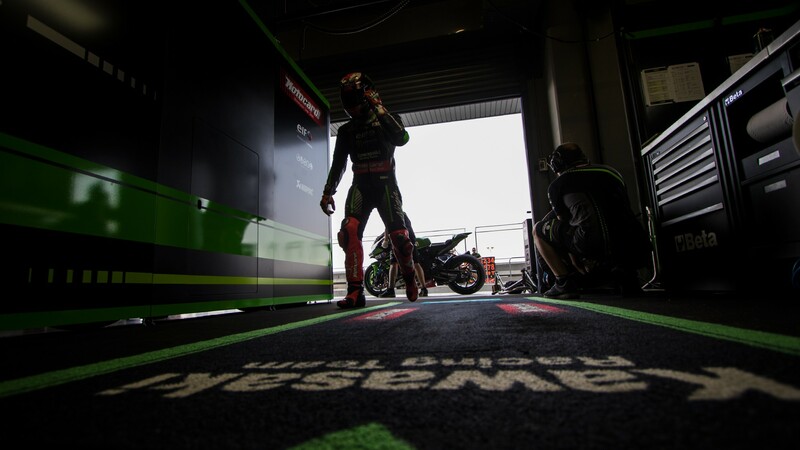 It’s just the second time this has happened since he joined Kawasaki Racing Team WorldSBK in 2015, the other being his one podium finish (a win at the Lausitzring) out of four races from Laguna Seca Race 2 to Magny-Cours Race 1, back in 2016. 2. Rea did however manage to go back to the top of the championship standings, with an advantage of 2 points. He has always been the championship leader after four races in the past three years, and his advantage was as follows: 10 points in 2015; 29 points in 2016; 30 points last year. 3. Chang International Circuit was the 10th track where Chaz Davies (Aruba.it Racing – Ducati) recorded a WorldSBK win, and the 42nd for Ducati. The manufacturer has now won at least once in each track of the current calendar. 4. Last year Rea gave Great Britain their 200th WorldSBK win in Race 1 at MotorLand Aragon. 5. Davies enters the Aragon Round with six wins here. In WorldSBK history only four riders have managed seven wins or more on a given track: Carl Fogarty at Assen (12); Jonathan Rea at Assen (11); Tom Sykes at Donington Park (9); and Troy Corser at Phillip Island (7). 6. The last 12 races here have always had a British rider on pole. This includes Race 2 last year, when according to the new regulations the 4th placed rider in Race 1 - Alex Lowes (Pata Yamaha Official WorldSBK Team) - started from pole in Race 2. The streak of British winners here is 10 races long and started in 2013 with a double by Davies. 7. All but two wins here have been secured by current riders: six by Davies, and two each by Melandri, Sykes and Rea. Missing from this list is retired World Champion Max Biaggi, who won at MotorLand Aragon in 2011 Race 2 and 2012 Race 1. 8. In the last three race weekends at MotorLand Aragon (2015-2017) only one non-British racer finished on the podium, this was Marco Melandri (Italy), who was second in both races last year. 9. The only win that hasn’t come from the first five grid spots at MotorLand Aragon was taken last year by Chaz Davies in Race 2, he won starting from 10th. 10. Only three wins out of fourteen came from pole at MotorLand Aragon, the first 2011 race (Melandri) and the double from Tom Sykes (Kawasaki Racing Team WorldSBK) in 2014. Follow all the WorldSBK action from MotorLand, as Rea will look at extending his championship lead all with the WorldSBK VideoPass.